We can finally see the grass in Northeast Ohio now that the snow has melted, and with the first days of spring officially upon us, it’s time to fast-forward into essential commercial landscape maintenance activities that will prepare your property for a healthy, colorful season. As with everything in landscape maintenance, timing is crucial. Now is when you want to assess and manage that winter damage on plants, protect turf and beds with a pre-emergent herbicide application, and institute a watering plan. What are your top priorities when it comes to the landscape? 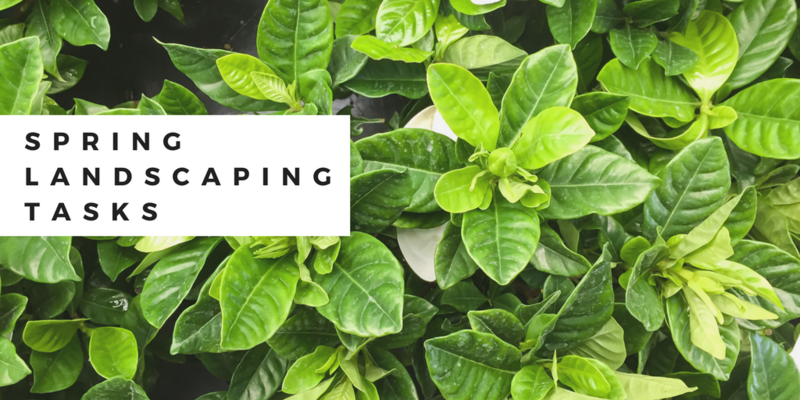 Use this commercial landscape maintenance checklist and start checking off these critical spring landscaping tasks so you can roll into summer growing strong. Cant get enough landscaping tips? Check out this list of our most useful articles for property managers and owners. Following this winter’s record freezing temperatures in Cleveland, trees and shrubs that were not protected really took a hit. Signs of winter burn include browning or scorched leaves and needles, dead buds and twigs. Winter burn occurs when plants lose water during winter months, leaving them susceptible to damage. (In a way, it’s like going outside in the cold without gloves and getting frostbite.) Moisture feeds plant tissue, and lack of water leaves plants vulnerable. And as the snow has thawed away, signs of snow mold are popping up on turf all over Northern Ohio. A thorough spring property assessment to identify winter damage is important so appropriate steps can be taken to rejuvenate plants and turf that’s suffering. Not all leaves drop in the fall. The leftovers fly off with winter winds and litter the landscape, along with branches and twigs. This debris must be cleaned up before mowing. 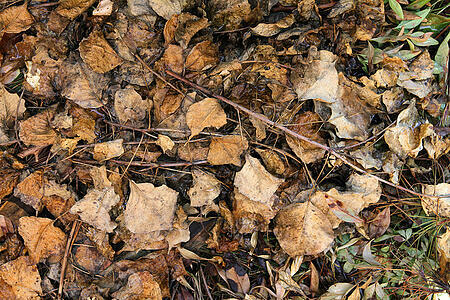 Leaves and other green waste tend to collect in landscape beds, which are natural traps for fly-away foliage. A thorough spring clean-up prepares beds for fresh mulch and annual flowers. And, getting leaves and debris off of turf is critical to allow the lawn to breathe. Air circulation in turf is critical for alleviating common winter diseases such as gray and pink snow mold. During winter, mulch breaks down into the soil—and that’s after a season of sun that fades mulch’s color. Mulch is beneficial for the landscape because it helps soil retain moisture, suppresses weed growth, prevents soil temperature fluctuations and adds aesthetic appeal. Mulch gives beds a clean-lined look that accents flowers and gives a commercial property an overall manicured look. What we’re saying is, mulch is a plant health plus, and a curb appeal bonus. And, spring is the best time to apply a new layer of mulch, before planting annuals. If you want to prevent the most notorious grassy weed from cropping up in your commercial property this summer—we’re talking about crabgrass—then now is the time to apply a pre-emergent herbicide. It’s the first lawn care application of the season and a critical one because it prevents the germination of particularly stubborn grassy weeds. If you wait until after crabgrass breaks through in summer, you’ll only be able to treat post-emergently—which is effective, but you know what they say about an ounce of prevention. Don’t wait to put down that pre-emergent. An irrigation system tune-up is important before turning systems on for the season. First, the soil should be thawed at least 12 inches deep before turning on the system. A spring irrigation tune-up includes checking valves and the controller, assessing the system for wear and tear (including broken nozzles), removing obstructions like dirt and debris from sprinkler heads, and checking the water pressure. A watering service can be helpful for keeping annuals planted in landscape beds and containers healthy and well irrigated all season. And speaking of containers, it’s not too early to start thinking about spring seasonal color and planning what will go into those pots. Heading into spring, we all look forward to getting outside and we want our commercial properties to look their best at the debut of the outdoor season here in Northern Ohio. 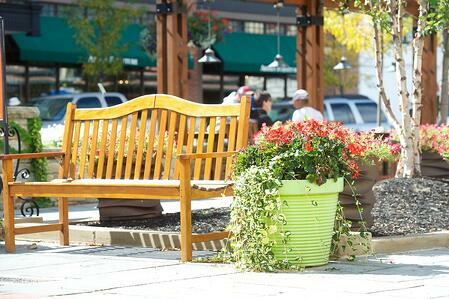 Be prepared this year by taking these important steps to establish a healthy commercial landscape. Taking good care of your property will protect your landscape investment and ultimately reduce maintenance expenses, or the need to replace plants and turf. 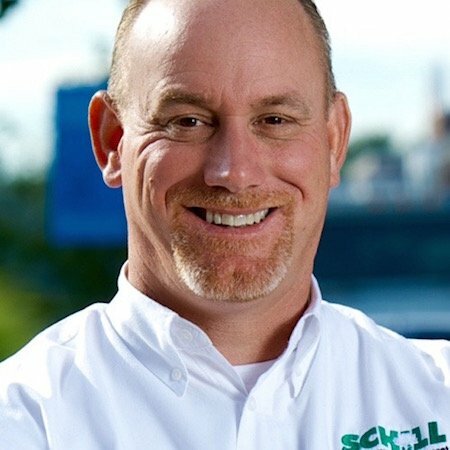 Let’s talk more about spring commercial landscape maintenance checklist and how Schill can help. Call us any time at (440) 327-3030, or fill out this simple contact form and we’ll get in touch with you.